Charles Stross' Laundry series is one of the hidden gems of modern SFF: occupying a rather unique position somewhere between spy fiction, comic fantasy and Lovecraftian horror. The Fuller Memorandum is the third novel in the series - and also the one that put an end to my pretenses at non-addiction. And of course, said cultists are Lovecraftian cultists, not the happy fun variety. Although to be fair, I haven't seen many happy fun cultists. Just a side note, that. So when Angleton disappeared, I got undertsandably worried. One of a series' best characters, missing for a book? Thankfully, they were unfounded: the series is as good as ever in The Fuller Memorandum. And we get a fair bit more Angleton, anyway... So, with that worry out of the way - what's it like? The Fuller Memorandum is likely the best installment yet. While The Jennifer Morgue had the best revelation yet - the ending made both unexpected and hilarious for it - its sequel simply has the escalation to surpass it. In other words, it simply has more of those 'wow' moments. Case NIGHTMARE GREEN becoming more than a distant apocalypse; intrigue in the Laundry itself; and a LOT about Angleton all play into them. But really, most are simply Bob and Mo's development. The climax and ending of this novel was one of the best I've ever read. Did I mention I loved it? I won't spoil anything, but Jennifer Morgue was nothing compared to this. And from what I've said already, you can probably guess I recommend this novel with a vengeance. There's one condition, though: read the others first. Great review for a great book! Fuller Memorandum is the best yet Laundry novel, and it's not like Jennifer Morgue was anything short of incredible. I really hope the next book in the series gives us more Mo and more of that nightmarish violin. 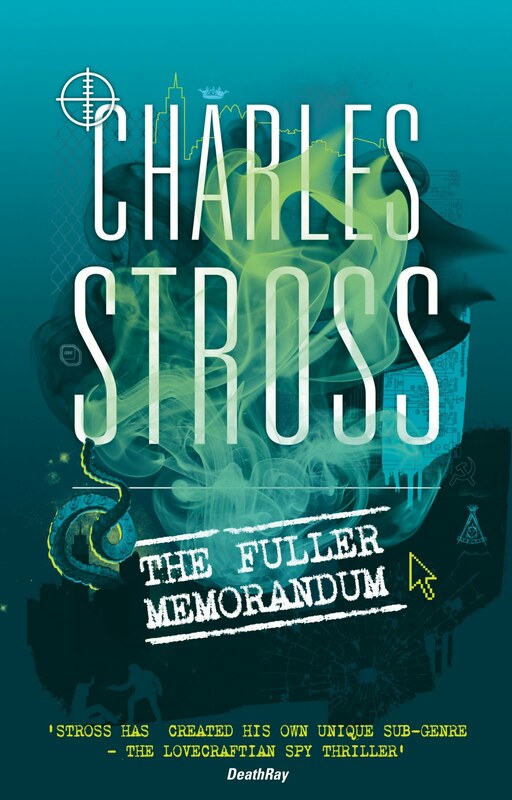 Stross is truly a master of genre smash ups. It's not fair how easy he makes it look! Thank you! Yeah, I loved the Bond pastiche (+ geas) in Jennifer Morgue, but the whole Teapot plotline in Fuller Memorandum surpassed it. (And there was me thinking that wasn't possible). Yeah, I really want to see more of the violin in action. Initially, I kept wondering why Bob was complaining at all the violin practice (thought it was a reference), and when I found out... Well. :D That was one great scene.